SS. Simon and Jude, Gravesend, hosted the first-ever Deanery No. 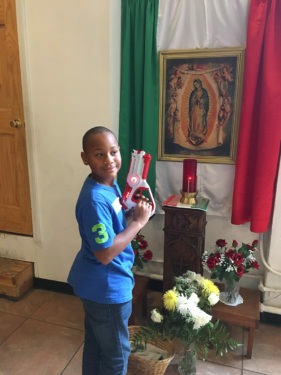 10 Altar Server Faith and Fun Day. 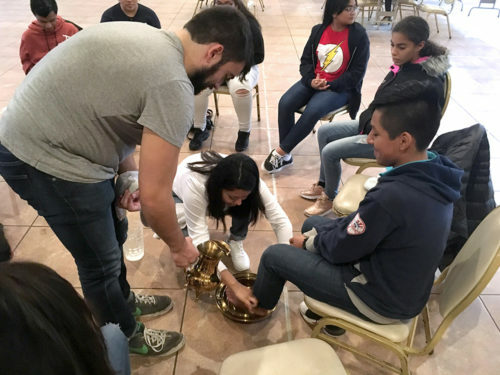 More than 75 youth from Our Lady of Solace, Guardian Angels, Our Lady of Grace, St. Athanasius, St. Dominic, St. Mary, Mother of Jesus, Most Precious Blood, and SS. Simon and Jude worshipped together at Mass and took part in workshops and games. The day was organized and run by the youth ministers of the deanery. When the parishioners of St. Anthony of Padua wanted to celebrate its 50th anniversary and the founding of the first Franciscan parish in 1915, they didn’t plan a party. These Italian immigrants, who brought with them a deep culture of music, commissioned an oratorio in honor of St. Francis of Assisi, the patron saint of St. Anthony. The story of the selection’s composer, Adriano Ariani, is mostly lost in time. However, it is known that he lived in Brooklyn and was a prominent musician of his time. He returned to Italy and his “Oratorio to St. Francis” was lost sometime after its premiere at Carnegie Hall in 1916. In 2010, the musical score was rediscovered in Macerate, Italy, where the Ariania family had a summer estate. All are invited to hear this exciting revival to be performed by the Canterbury Choral Society at the Church of the Heavenly Rest, on Fifth Ave and 90th Street in Manhattan at 4 p.m. on Nov. 11. Tickets are available at the door or at smartix.com. The cost is $25, $20 for seniors and free for children 10 and under. For details, visit cantenburychoral.org or email canterburychoral @gmail.com. The oratorio covers the life of St. Francis with verses in Latin by Father Sixtus Lagorio. A translation will be provided. St. Francis Catholic Singles, for those in their 30s, 40s and 50s, will host “Death and Dying in Union with Christ.” Come for an insightful talk by Father Thomas DeSimone, that will address death and dying in the Lord, the Catechism on Death, Judgment, Heaven and Hell and Purgatory, Nov. 28 at 7:15 p.m., in the Esposito Community Center, 136 Midland Ave., Staten Island. Light refreshments will be served. Suggested donation of $5 to $10 at the door. For information, visit www.sfcssi.wixsite.com/website, email sfcssi@gmail.com or connect on Facebook/StFrancisCatholicSingles. 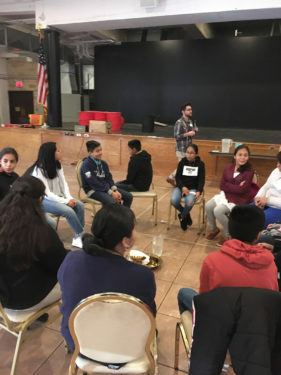 Our Lady of Perpetual Help Catholic Academy, S. Ozone Park, is having a fundraiser Nov. 17, 7:30 p.m. Encore performance of musical comedy “Twelve Months A Year.” Donation: $10/students $5. Call 718-843-4184. St. Anthony parish, Greenpoint, celebrated international night Oct. 29 for the fourth year. Thirteen different countries were represented. 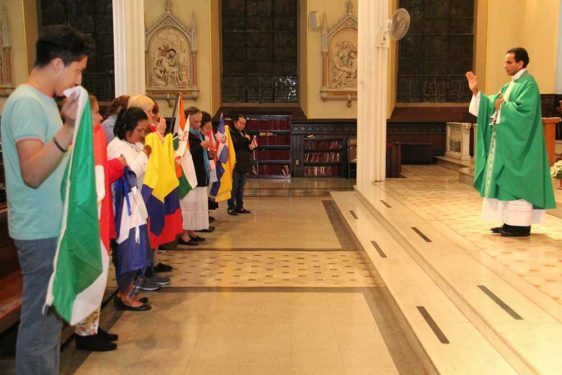 The celebration began with Mass and concluded with food and entertainment from various countries. Participants also had a chance to taste the world, with tables exhibiting food from their native countries.